In this article we’re going to be looking at the best gaming headsets that come with a built in microphone that are under $100 in price. We’ll be focusing on these headsets: SteelSeries Arctis 5 Vs Plantronics RIG 600 Vs Corsair Gaming VOID Wireless Vs HyperX Cloud II Vs Turtle Beach Ear Force Stealth 450 Vs Corsair Vengeance 1500 Vs Razer Kraken 7.1 Chroma V2 Vs XIBERIA T19 Vs LOGITECH G430 DTS Vs Sennheiser GSP 300. There are so many different brands that make gaming gear that it has become more difficult to pick out which one you should spend your money on. Sure you can get the one that looks the coolest but what about noise cancellation, ear pad comfort and of course overall sound quality. These are some of the things that I really went into my decision on where I ranked these headphones on my top 2018 list. Heads Up! : Please double check on the price before buying because prices may change after I publish this article. The SteelSeries Arctis 5 Gaming Headset has quickly risen as one of the best headsets in little time that it has been released. This headset has a very comfortable fill which allows for no issue while gaming for long periods of time, which anyone who games know there is no such thing as quick gaming, am I right? Along with the “AirWeave performance-fabric ear cushions” you also get an evenly distributed weight balance of this headset which most gamer don’t pay enough attention to in my opinion until you get a headset that is very lopsided in its weight. 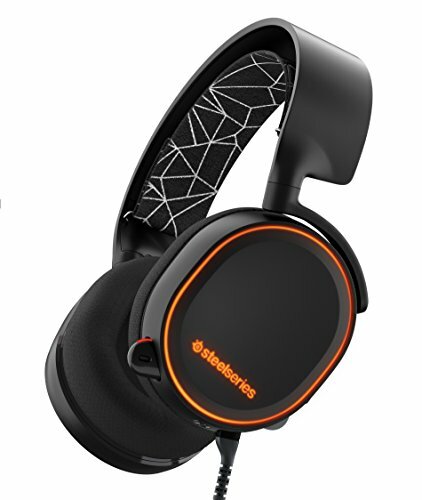 Aside from comfort the SteelSeries Arctis 5 sports a very impressive layout with its ClearCast microphone that does wonders with clarity and background noise cancellation. Saved the best for last, the headphones are DTS Headphone:X 7.1 Surround on PC which really make this an amazing gaming headset. The SteelSeries Arctis 5 gaming headset can be used on PC, PlayStation 4, Xbox One, VR, Android and iOS. The Plantronics RIG 600 Gaming Headset currently shares the throne with the Arctis 5 in terms of how they rank in my opinion. Even though they rank equally as high they actually don’t have that much in common, which usually is not the case. This headset comes not only with cushioned ear cups but also a cushioned headband which make this headset insanely comfortable! One of the most impressive features of this headset is interchangeable mic setup. You can change the mics out to use the noise-cancelling boom mic for team chat or the discreet inline mic for mobile devices to control volume, mute, and call answer/end. I think this is really cool because it’s hard to have a one size fits all type of mic for everything (currently) but being able to swap it out takes care of that. The Corsair Gaming VOID Wireless RGB Gaming Headset is a great wireless headset that comes with everything you need and then some. This headset has a noise-cancelling microphone, 50mm drivers and genuine Dolby 7.1 audio drivers and Microfiber/memory foam ear pads. 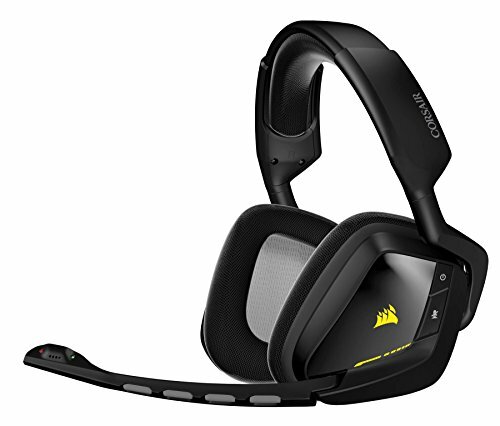 With this being a wireless headset it features 2.4GHz wireless freedom up to 40ft + 16 hours’ battery life. As far as wireless headsets go, you’ll have a difficult time finding one with as impressive specs and reliability in this price range. The HyperX Cloud II Gaming Headset comes with top of the line specifications with 53mm drivers audio drivers, 7.1 virtual surround sound, noise cancelling microphone, memory foam ear pads with extra set of Velour ear pads and detachable microphone. 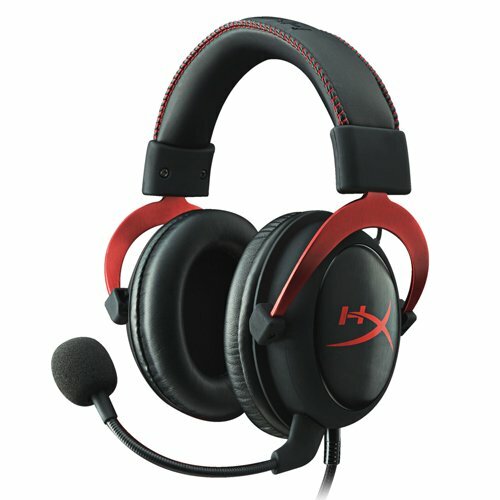 You have everything you need in a gaming headset with the HyperX Cloud ll. 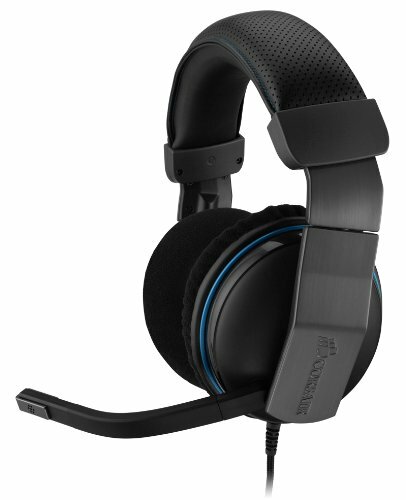 The Turtle Beach – Ear Force Stealth 450 Wireless PC Gaming Headset is another excellent wireless headset that resembles the Corsair VOID a lot specification wise. In terms of overall comfort however this headset has the advantage in my opinion with cushioned ear pads and cushion on the inner top of the headset as well which makes it rest comfortably. The Corsair Vengeance 1500 USB Gaming Headset is without a doubt the most comfortable gaming headset that I have ever used to this day. I found myself wearing this thing even when no audio was being used just to have it on. Aside from how it feels it also has great specs with Dolby 7.1 surround, large 50mm drivers and a noise cancelling microphone. Only reason it’s not ranked higher is because I wish it was built with stronger material or maybe make that material thicker to be able to withstand more. This could be a result of some gamer rage but never the less it was a great headset while I had it. The Razer Kraken 7.1 Chroma V2 USB Gaming Headset is our first Razer item to be featured on this list and it kicks off with a good one with this headset. You’ll find that this headset comes with great specs like 7.1 virtual surround sound, a fully-retractable microphone with active mic noise cancellation capability and 50 mm audio drivers to truly help bring the game to life. 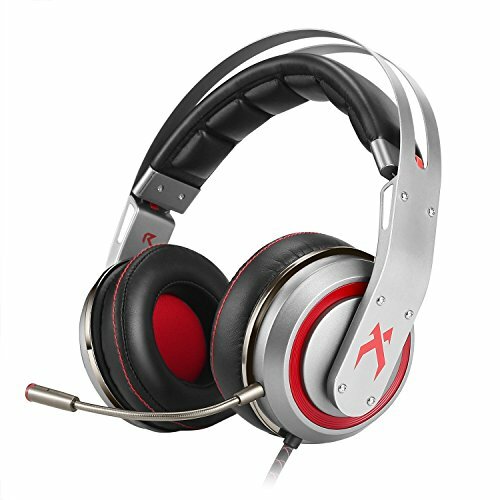 It also has a cushioned top interior as well as cushioned earcups, which is makes it great for long gaming sessions. Something to pay attention to is that this is version 2 of this headset which changes the design some along with the tech specs, so just be careful when ordering to make sure you get the one you’re wanting. 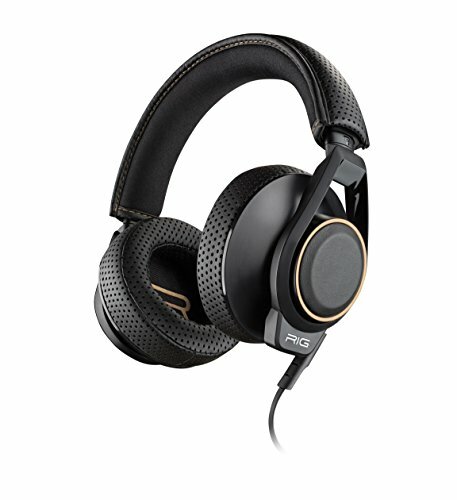 The XIBERIA T19 PC Gaming Headphones is a lesser known brand compared to the others that appear on this list but never the less it still earns it’s spot on my list. Sound wise it comes with dual 50mm Hi-Fi drivers with an optional vibration mode, which I find myself liking the vibration mode more than I thought I would. You get above average comfort with this headset from the leather wrapped memory foam inner headband ultra-soft ear cups. I will say the microphone gets the job done but isn’t anything crazy worth ranting about. Aside from that you get some cool features like the easy adjustment of the volume, mic, LED lighting, and vibration of the headset. This is a great headset for the price. 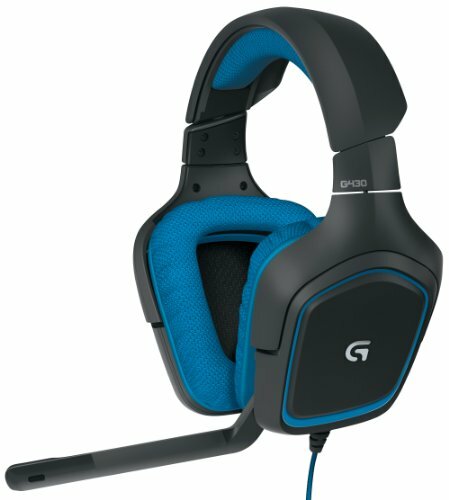 The LOGITECH G430 DTS Gaming Headset is a sweet looking headset with the features to match. It has X and Dolby 7.1 surround sound for great audio performance. You get the great cushion from the ear pads to the top half which seems to be becoming a must have nowadays. Let’s not forget the microphone of course, in this headset you get a noise-cancelling boom mic which impressed me on how good the overall quality was from it. Logitech did a great job with this headset. The Sennheiser GSP 300 Gaming Headset has a lot to live up to being in the Sennheiser name as they put out some of the best quality headsets around but of course those come with a price to match. However just because this headset doesn’t have the premium price tag that doesn’t mean it’s not a good headset. Sound quality wise it’s very crisp and clear and the ear pads help with this by closing in over the ears. Speaking of the ear pads, they are made with memory for great comfort which goes perfectly with the cushioned top half of the headset. Similar to the Xiberia T19, the mic is the bottleneck of headset. This mainly comes down to overall budget reasons. Even though gaming headsets have continued to upgrade to amazing quality, it’s still not on par with what you would get if you were to buy a desktop mic & a separate headset. Of course, this comes down to what you buy, not just any mic and headset will do. For example, if you were to pick out any of the mics on our desktop microphone article it would a much better overall quality than one connected to the headset. With that being said, the sound quality (what you hear) isn’t as clear-cut of a winner between the two. This is because most gaming headsets are ‘usually’ built with the focus on the sound quality as the main objective & not the mic. I’ll say this, most people who I’ve ever seen have a desktop mic is because they do some sort of recording or streaming for YouTube or Twitch & they want quality. Other than that gaming headsets still seems the way to go for most gamers. I will say this was one of the toughest top ten articles that I’ve had to write. It was just so dang difficult on where to place some of these which resulted in me moving around certain ones over and over again. However I will say I’m pleased on where I finally placed these headsets in their overall rankings. 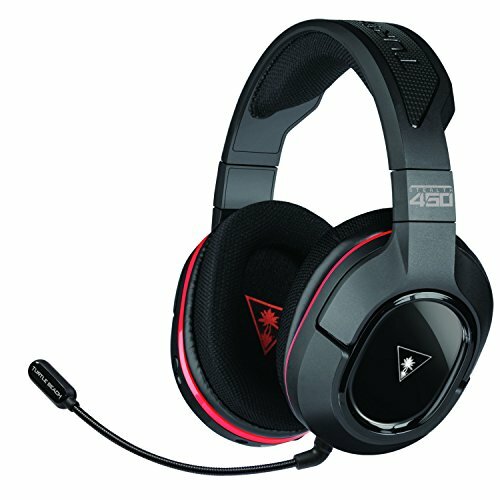 I think any of these headsets on this list will should be good matches for most gamers out their.